The way to customize Pulseway is to take advantage of the REST API, which allows you to interact with your monitored instances in real time. The Cloud API allows you to monitor and control your cloud applications and cloud service instances. All you need to get started is an API Token and access to the programming or scripting language of your choice. After requesting and receiving your Pulseway API token, you can begin customizing your monitors, error conditions, and notifications to more effectively manage your embedded systems, websites, and applications. You also have access to several Cloud API tutorials and Client API tutorials that demonstrate and explain every possible parameter that you'll need to begin creating your own Pulseway plugins. Whether you're a programmer or a system administrator, you can start enhancing your Pulseway experience immediately with simple demonstrations, tutorials, and quick reference guides. And if you're still having trouble, Pulseway's online community API forums make it easy to ask questions and share ideas with fellow users and administrators. Additionally, the community maintains a list of community-maintained plugins. 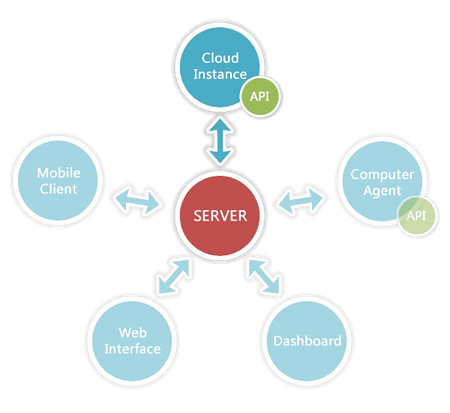 The REST API allows administrators and programmers to add a mobile interface for any system software. Using it, you can create custom notifications in the app; you can change parameters from the app, and you can push information to Pulseway's web services. All you have to do is create a properly formatted document that Pulseway can interpret. To help you in your effort, there are examples given in Ruby, Python, Node.js, Perl, PHP, C#, Java, cURL, and pure JSON. Publish is the part of the code that creates or updates an instance. This body of code identifies the instance with a unique ID, a name, a group, a label type, a label title, the web hook command, the callback URL, and a title, plus several optional fields. The Notify section allows you to send PUSH and/or email notifications. Live notifications are sent to the Pulseway app on your mobile device. Notifications must have a unique instance ID and a title. 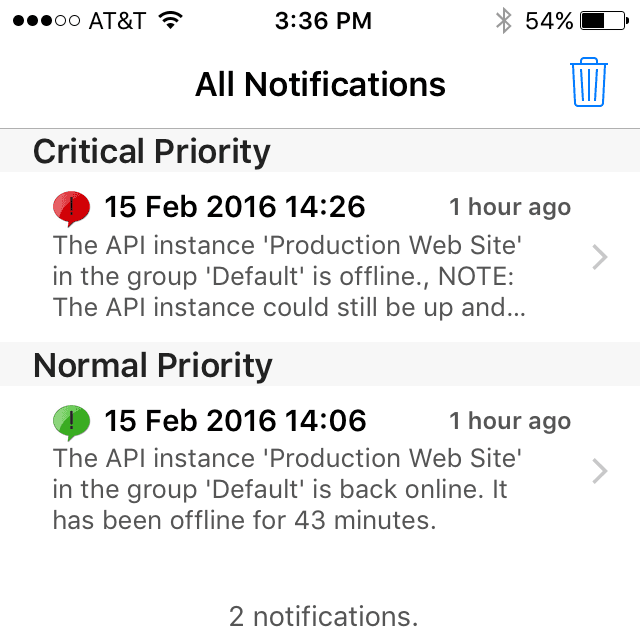 Optionally, you can include a message and assign a priority to notifications. The REST API is a simpler solution for non-programmers, such as system administrators, who want to add some customization to their monitoring without having to learn a programming language and an integrated development environment (IDE). In fact, if you want to use pure JSON code without another language, you can easily setup a Chrome browser REST client extension called Postman to interact with your Pulseway configurations. Find example code at api.pulseway.com. For the Cloud API, you'll need some higher programming skills and access to Visual Studio to create your plugins using the .NET framework. If you prefer, you can also create your plugins in Java. There are tutorials for both languages at www.pulseway.com/api/cloud. If you need to see a complete tutorial, check www.pulseway.com/api/clientnet. You can also check out all related videos on the Pulseway Channel. The REST API and the Cloud API both offer users the opportunity to customize their Pulseway experiences beyond the default offerings. Using these programmatic interfaces provides programmers the ability to further enhance Pulseway's powerful monitoring and notification capabilities for any application or service.